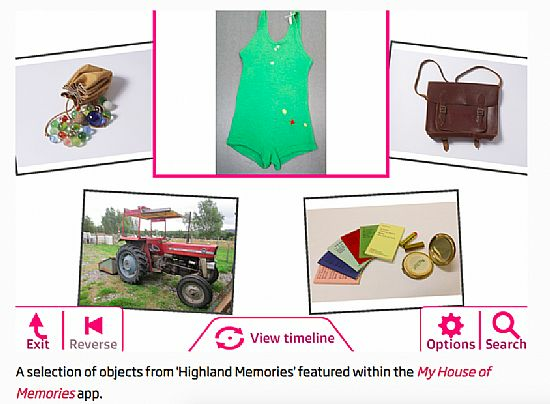 I really had fun working with Lorna Cruickshank and Alison Parfitt from High Life Highland to source and write about the contents for the My Highland House of Memories project. 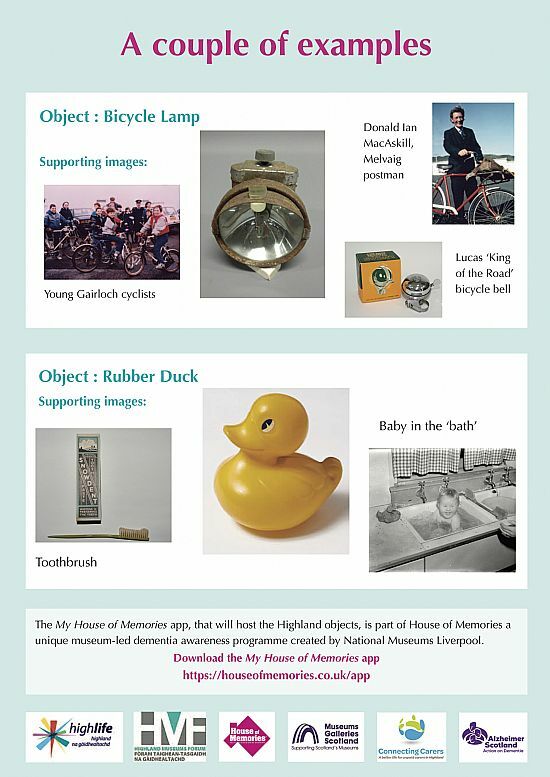 House of Memories is a unique museum-led dementia awareness programme created by National Museums Liverpool. The app is designed to be used by anyone sharing their lives with someone with dementia. It uses photographs of objects from museum collections that each have supporting images and sounds to go with them, to help to trigger memories and conversations. It is a tremendous resource, free to download and very easy to use. Although it is for people with dementia, the app would be a great conversation starter with anyone - and a great way to learn about recent history. 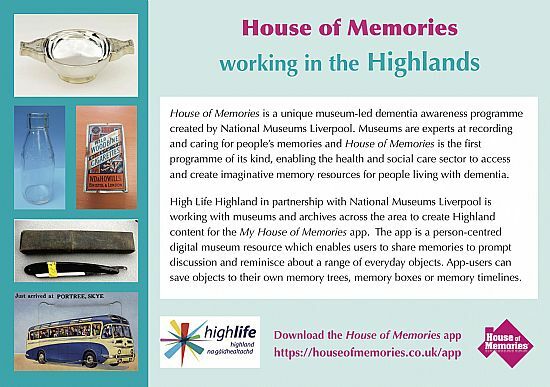 Find out more about the House of Memories app here.